What Cause Laptop Won’t Boot? There is nothing worse than a laptop can’t boot, which make you under the risk of losing valuable data. In fact, your operating system may be very fragile due to the attack of the flowing. Boot section corruption: Boot section contains important files and information, which are necessary for operating system to start or boot. It is a very sensitive part of laptop hard drive, so data corruption may prevent you booting up system normal, which may cause data loss. Operating system crash: Operating system is core part of a laptop, which helps the users to access data stored on hard drive. But with time goes by, your operating system many be crashed by hardware failure, human error, or other reasons. Virus infection: Virus infection is a deadly issue for your operating system, because your laptop can be attacked by virus though a lot of ways. Moreover, these danger programs make small changes that you can’t realize until the disaster happens. How to Recover Data When Laptop Won’t Boot Windows OS? No matter which situation you come across as I mentioned above, you may lose your data. Fortunately, there is free third-party software-AOMEI Backupper Standard can help you recover data. AOMEI Backupper Standard is a free backupper software which devotes to protecting data. 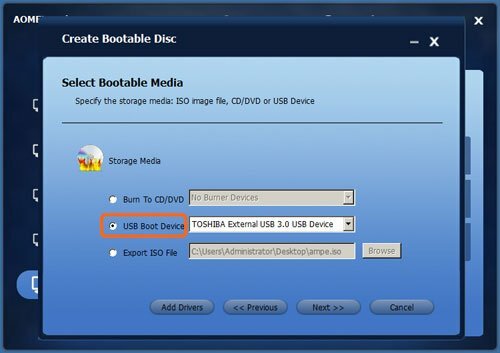 It has a feature called Create Bootable Media, which allow you create two kinds of bootable CD or USB flash drive, one is Linux boot disc, and another is Windows PE boot disc. The former one can be created straightway, while the latter one may require installing Windows AIK kit in your operating system in advance After you have made the bootable CD, you can boot the system that you can’t boot. Besides this feature, it can also help you back up system, back up disk or back up partition and more. When you make Windows PE bootable CD, AOMEI Backupper will check whether your operating system meets the corresponding requirements or not. For instance, it will check does your system need to install Windows AIK? 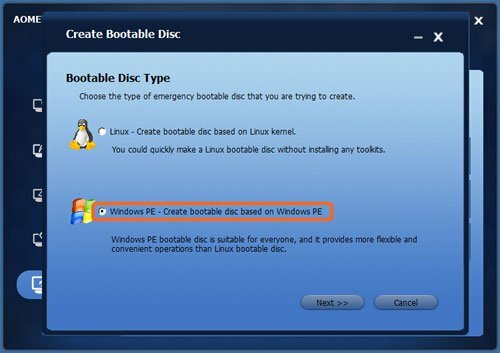 If your operating system is Vista or higher version of OS, such as, Windows 7/8/2008 R2/2011/2012, usually you can directly create a Windows PE bootable CD without installing Windows AIK. Step1: Download AOMEI Backup Standard, install and launch it. 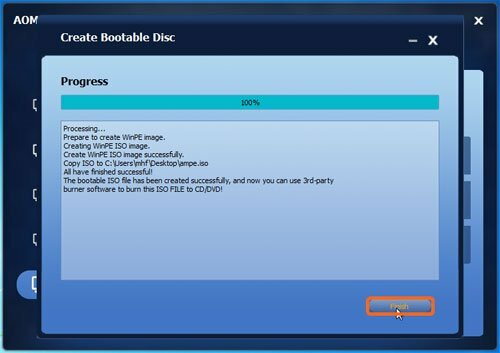 choose Create Bootable Media under Utilities. 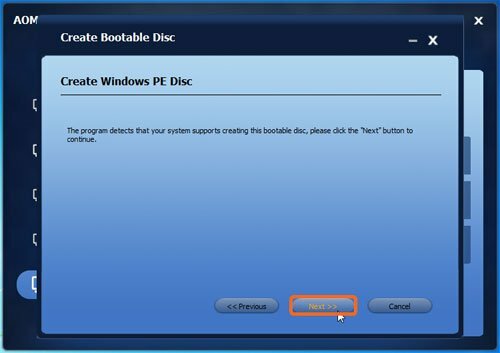 Step2: In the pop-up window, choose Windows PE-create bootable disc based on Windows PE option, and then click Next. You can also choose the first one as your own requirement. Step3: Click Next to continue. Step4: If your system is UEFI boot mode (means your system installed on a GPT disk), you will see two choices as follows. We suggest you choose Create the bootable disc based on UEFI boot mode. Step6: When the operation has been done, click Finish. After you have made Windows PE disc on USB, you can boot it on your system that you can’t boot. When you boot it, you will find AOMEI Backupper Standard has been installed. Then you can use this software to do files backup, partition backup, or even disk backup. In this situation, you can keep you data safe and recover them as you want. Maybe, you can create the bootable media in advance to avoid this disaster. If you don’t have bootable media when your system cannot boot, you can make one through other computer and then use it.